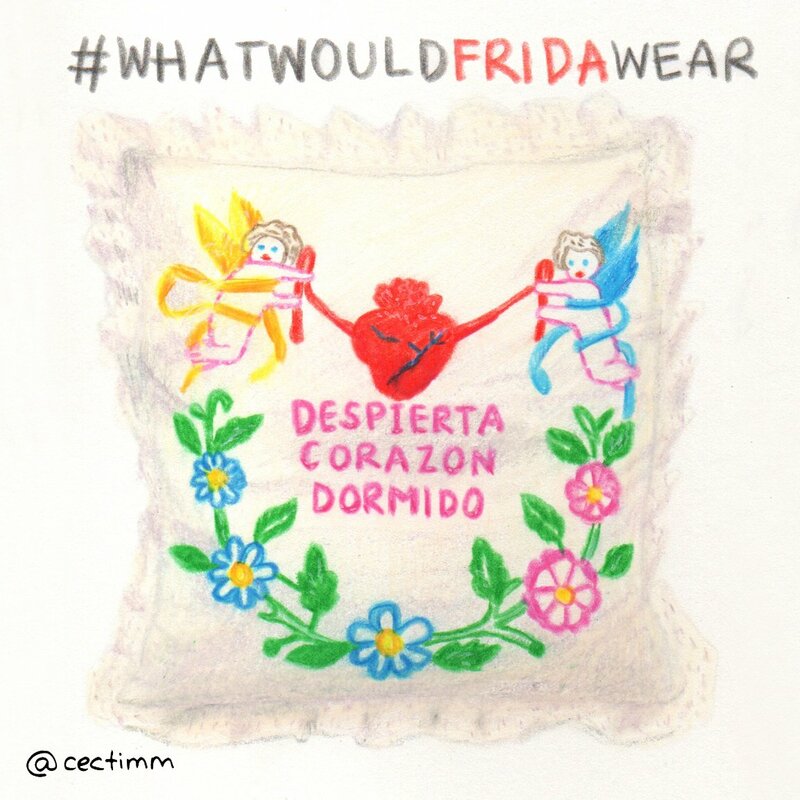 #adrawingaday #whatwouldFRIDAwear Wake up sleeping heart ♥ While this is not actually something Frida would have worn, I love the idea of her resting on this sweet hand embroidered pillow. I am not sure if she did embroidery or if she simply loved buying beautiful embroidered clothes and accessories. She spent a lot of time resting due to her injuries and illness and it's comforting to know that she was comforted by something so simple and beautiful. Despierta corazon dormido translates to wake up sleeping heart and Frida's heart was fully open. Pain can do that to people. It either crushes them or awakens them to the world. Thankfully Frida was the kind of person who took her suffering and turned it into visual poetry. She made the world a more interesting and more colourful place, in lots of ways. I have loved drawing "what would FRIDA wear" this month and by doing so I have learnt so much more about this beautiful, fragile and incredibly strong feminist icon. Viva Frida ~ Viva Mexico ~ Viva Colour ~ Viva Art! If you would like to purchase a drawing or commission a portrait, please get in touch. 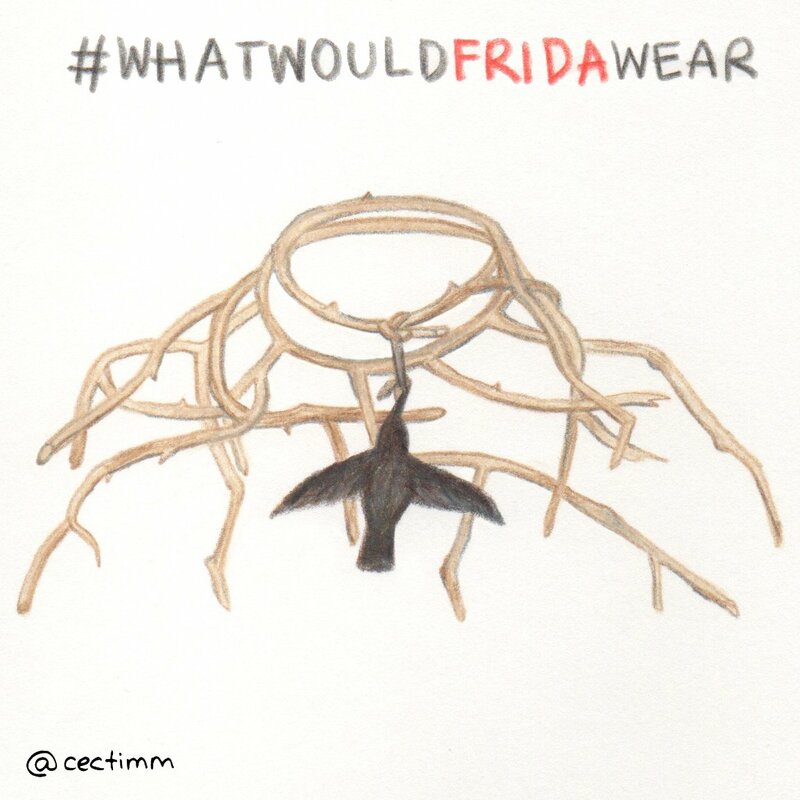 #adrawingaday #whatwouldFRIDAwear One of the most iconic paintings by Frida Kahlo is Self-Portrait with Thorn Necklace and Hummingbird painted in 1940. The thorn necklace cuts into her throat making her bleed and a hummingbird looks dead and lifeless. 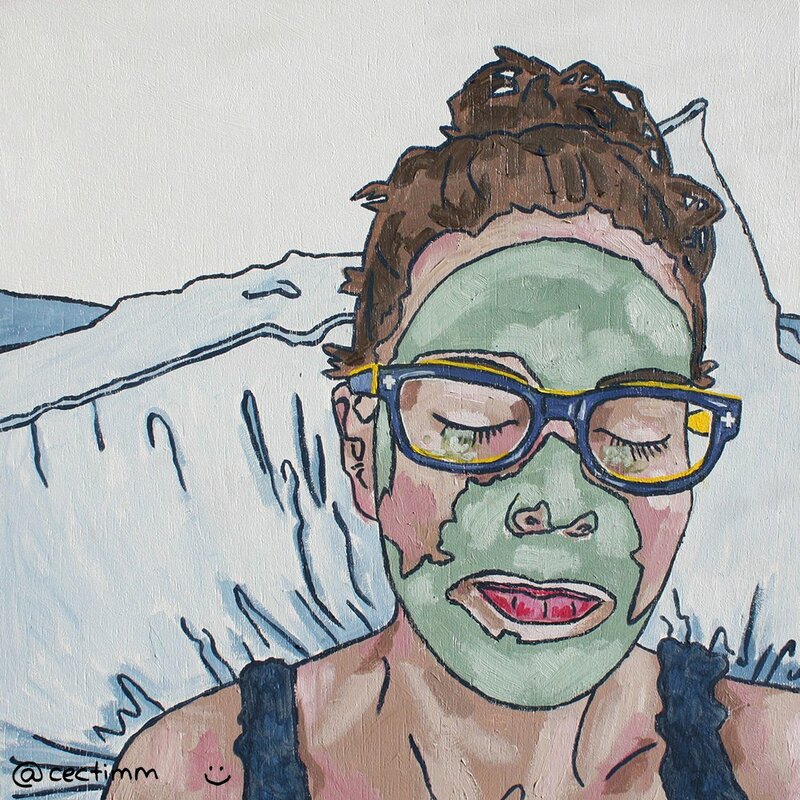 The painting represents her physical pain and how it held her back. While she didn't actually wear this necklace, she painted it on herself to express how she felt. Her surrealistic paintings had a lot to do with her feelings, however, she did not consider herself a surrealist. 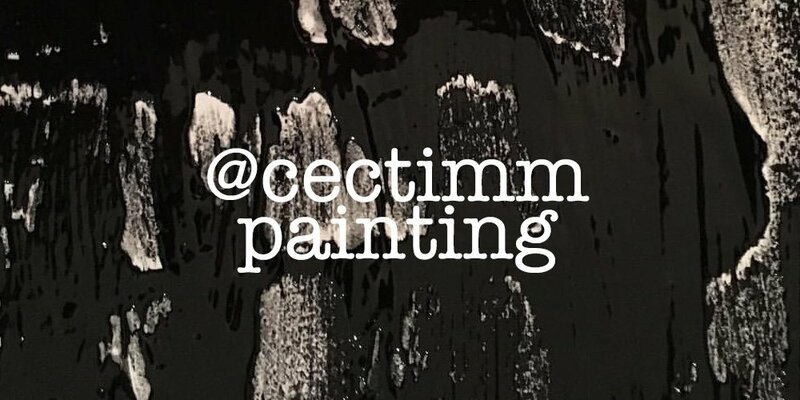 In her mind, she was painting her reality. Her reality was pretty bleak and she must have suffered a lot... I don't want to go anywhere near this necklace. If you would like to purchase a drawing or commission a portrait, please get in touch.